The Back Bay Therapeutic Riding Club is dedicated to providing an avenue for improving the quality of life of children, youth, and adults with physical and developmental disabilities through recreational and structured horseback riding and other unique therapeutic activities. We are a 501 (c) 3, non-profit organization and a proud member of PATH, Intl., the Professional Association of Therapeutic Horsemanship. Our specialized staff consists of certified Therapeutic Riding Instructors and Equine Specialists in Mental Health & Learning (EAGALA certified). 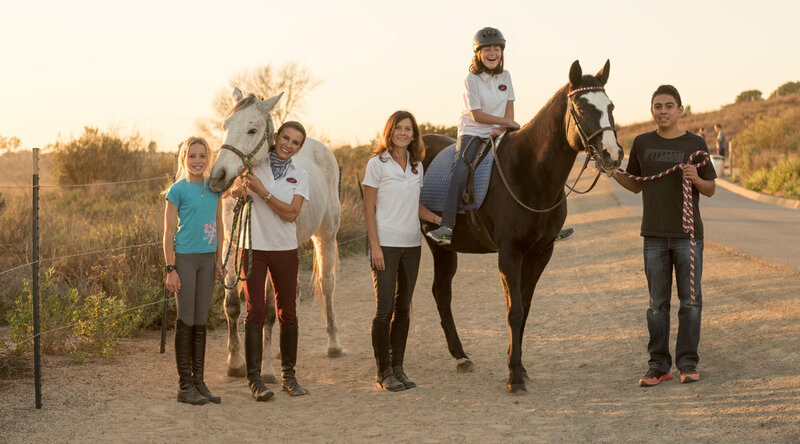 The Back Bay Therapeutic Riding Club is committed to the special needs community of Newport Beach as a resource and an inspiration. Our trained volunteers and dedicated staff are committed to challenging each rider as they strive to achieve their individual goals. Therapeutic riding strengthens the mind, body, and spirit. Therapeutic riding provides physical, cognitive and psychological benefits that help to improve balance, joint mobility, coordination, muscle tone, posture, socialization and communication. We address various disabilities, both mental and physical, with each rider's needs being approached on an individual basis. There are numerous volunteer opportunities available. Equine knowledge is a plus yet no prior experience is necessary.